Who Are The Real Wild Fire Experts Today? Who Are The Real Wild Fire Experts Today Helping Defend Our Homes? "Until we add a proactive approach along with what our firefighters do on the front lines of these wild fires, we will rack up more historical losses", says Steve Conboy. Steve is one of the leading applied fire science experts in America. Some Experts Are Questioning California's Wildfire Strategy. Many want to see a new proactive wild fire plan, that is added by private sector fire elimination contractors. Fire retardants dropped near homes, is wasting wild fire resource dollars. Water can do just as good to stall advance of fire coming out of planes. We need to add a proactive chemistry on dry fuel, such as dead grass, that will cling and hinder the fire's ability to advance. M-Fire's chemistry lasts weeks after it's sprayed, unlike the wetting agents like the red fire retardants dropped from big planes or gels that last 3 hours. M-Fire has a clean fire inhibitor that is safe around humans. The proactive M-Fire team would spray canyons around our communities that are full of dry fuel with ground assault vehicles and small crop dusters. As all the so called fire experts show up, the qualifier has to be the third party accredited laboratory testing. M-Fire has performed demonstrations burns in multiple fire training centers witnessed by Fire Marshall’s, Chiefs, Captains and Fire fighters across the USA. All chemistry should have more than EPA approval and tested for indoor air to be safe around humans. Contractors can not be experts in rebuilds without fire accreditation and testing. When we define fire resilient building we can not pick and choose what is included and what is left out. We all have to convince the insurance industry that these resilient homes in these rebuilds will stand up to wild fires in order to expect them to lower homeowners insurance premiums. All resilient products should have to be supported by 3rd party accredited fire laboratories because there can be no guess work on their fire resistance. It’s time to raise the bar and defend American Homes before we spend another dime on a dead forest that Mother Nature will eventually deal with. For far too long the entire building industry had been cutting the corners with fire loss. It’s time we make wood framed buildings of all types safer for our brave fire fighters, of which many have lost there lives in brave rescue attempts because of this fire failure flaw. It was after the Northridge Earth Quake that everyone complained about the new hardware requirements that increases seismic safety engineering, now today it’s the norm. It’s time we make American Homes safe from all wild fires. American Innovation is now available to all US builders and for those that choose to continue to ignore these resilient products they will have little Defense from litigators. 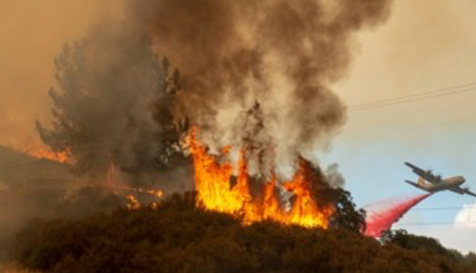 M-Fire is in solidarity with the brave fire fighters and insurance industry to lower loss and the reputation of Lumber, our renewable, sustainable approach to meet the demands of affordable housing for future generations.